If you have any questions about the 2010 LIVIA information page below please contact us. 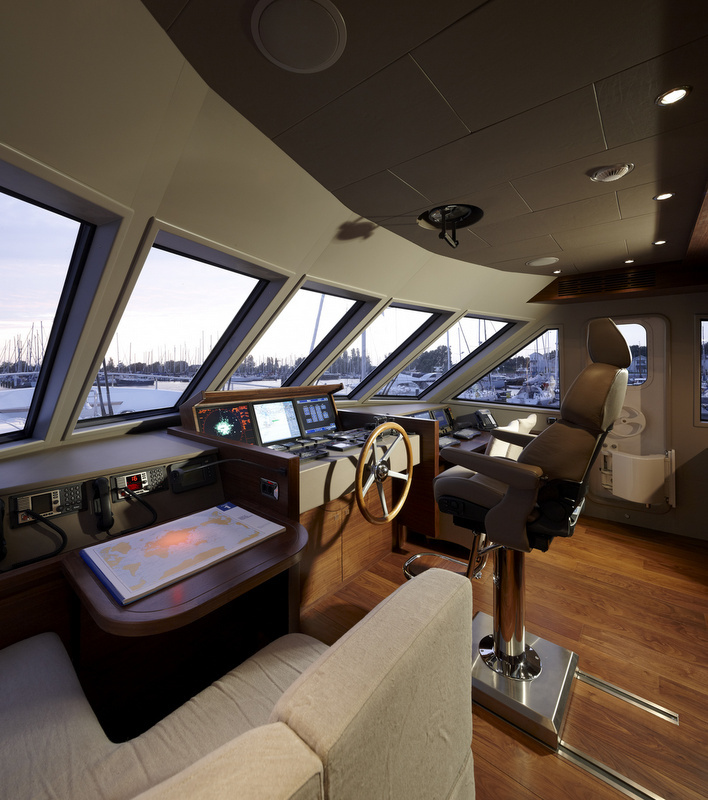 Moonen Shipyards in the Netherlands built yacht LIVIA is the third yacht in its impressive line of 30-metre steel-hulled displacement cruisers. Superyacht Livia is a Moonen 97 motor yacht which is distinguished from other 97s by a truly original ‘New England/American Beach House’ interior from Art-Line and much else besides. Motor yacht Livia was styled by René van der Velden, who has created a sleek low-profile exterior with an elegant flared bow, a sloping stern with twin stairways, a graceful sheer line and bold fashion plates. The round-bilged hull from the boards of Diana Yacht Design ensures exceptional comfort at sea, while the economical shaping combines with tankage for some 28,000 litres of fuel to give Livia an impressive transatlantic range. Yacht owners and guests enjoy the most peaceful of cruises thanks to a comprehensive sound and vibration attenuation programme. In addition to deploying the finest noise-absorbing insulation, Moonen has eliminated vibration at source by giving the yacht’s highly skewed propeller 50 percent more clearance between the blade tip and hull surface. Superyacht Livia is also exceptionally comfortable at anchor thanks to the installation of advanced Naiad zero-speed stabilizers. Moonen is known for its impeccable engineering and construction, and this Lloyd’s Registered and MCA approved yacht once again proves why. One of the highlights of luxury yacht Livia’s aluminium superstructure is the efficient flying bridge, part of a clear policy to maximize the pleasures of alfresco living onboard this yacht. 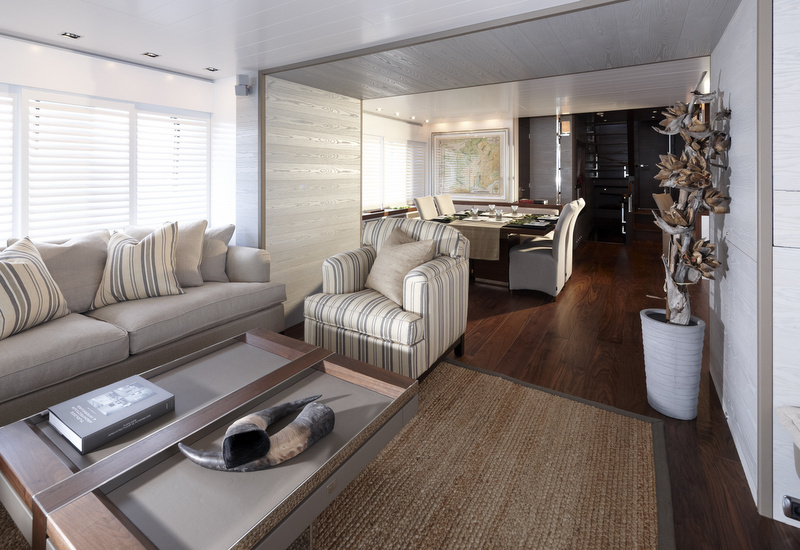 The interior offers spacious accommodations for the owners and six guests. 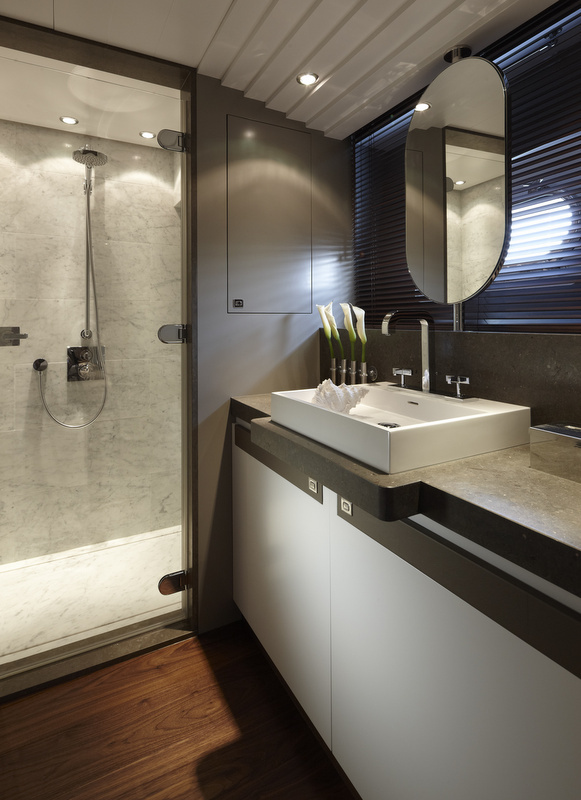 The master stateroom boasts a walk-in closet of unusually generous proportions. There is also a delightful VIP stateroom plus two guest suites, all with their own bathrooms. The Moonen 97 motor yacht is an evolutionary design based on two prior Moonen yachts: The semi-series Moonen 84 and the custom-built Moonen 96 Clementine. The first two Moonen 97s were Darsea and Sofia II, while a fourth model is set for delivery beginning 2011. 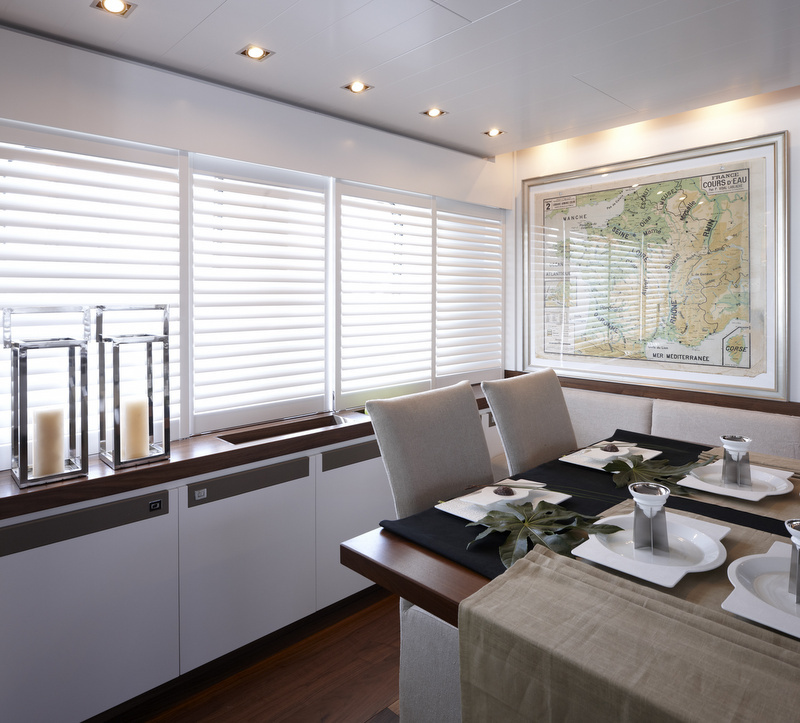 2010 LIVIA can accommodate a maximum of 8 guests in 4 cabins. 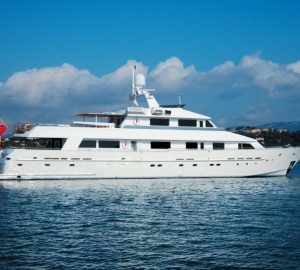 We do have available further amenity, owner and price information for the 30 metres yacht 2010 LIVIA, so please enquire for more information. The luxury yacht 2010 LIVIA displayed on this page is merely informational and she is not necessarily available for yacht charter or for sale, nor is she represented or marketed in anyway by CharterWorld. This web page and the superyacht information contained herein is not contractual. All yacht specifications and informations are displayed in good faith but CharterWorld does not warrant or assume any legal liability or responsibility for the current accuracy, completeness, validity, or usefulness of any superyacht information and/or images displayed. All boat information is subject to change without prior notice and may not be current.